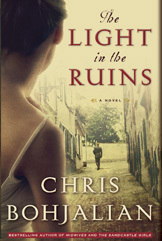 Chris Bohjalian pens another spectacular book with The Light in the Ruins. I have read several of Chris' books and have not found one yet that I didn't like. The story opens in 1955 with the murder of Francesca Rosati. Like Skeletons at the Feast,thought, his latest effort is primarily set set late in WWII, as the tide is turning away from the Germans and toward the Allies. The focus of the story is the life of the Rosati family, who are headed by a marchese and marchesa, and live in their Tuscan villa. First of all, Chris is a consummate story-teller. In most of his books, the chapters alternate between viewpoints. Sometimes it is the differing viewpoints of the characters, but in this case it is between the events of 1943 and 1955 when Francesca is murdered in Florence. Chris is one of the best authors out there when it comes to telling a story from alternate viewpoints, and in The Light in the Ruins he does this by making use of both alternate time periods and alternate character viewpoints. I especially like the way that he threw in the thoughts of the murdered every once in a while. I found myself looking for clues in these small chapters to try to figure out who the murderer was. In addition, his descriptions really make the settings come alive for me. Another thing that I liked about this book, and most of Chris' books, is that there is usually a bit of a twist at the end. I have not been able to figure out these "reveals" in most of his book, and this book was no different. I really enjoy when an author can surprise me with something relevant at the end of the story. If I know this is coming, I find myself trying to figure it out throughout the book and it really keeps my interest. As for character development and use, there is none better than Chris Bohjalian. Once again, in this book, he has crafted characters perfectly suited to illustrate the many sides of his story. In this book there are two pairings that do this well. There are the brothers Rosati, who are participating in the war in very different ways, but the best example is the pair of Cristina and Serafina. The similarities and juxtapositions between these two characters was a great way to show the alternate sides of the story. Both women were the same age, both women were heavily affected by the war, but their lives, both in 1955 and 1943, couldn't have been more different. The thing that I like the best about Chris Bohjalian's work, though, is the way that he can weave a story around such different subjects. 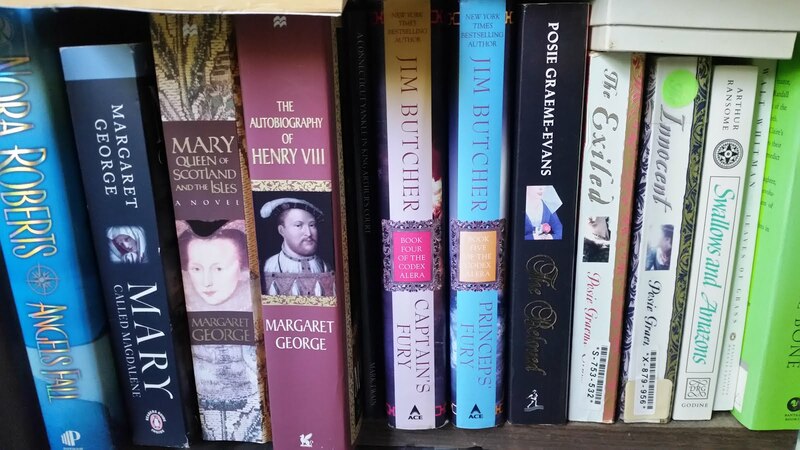 None of his books really resemble the others. Sure there are similarities, but when I pick up a book by Chris I know two things. One, that I will enjoy the stories, settings, characters, etc., and two, that it will not be a rehashed or retold version of any of his other stories. Most importantly, I know it will be an enjoyable experience that I will not want to end.